It was basically the cover that sold the DVD to me. This photograph just grabbed my attention. And it seems I’m not the only one to have noticed. According to the DVD, after this photo appeared on the cover of National Geographic in June 1985, they received over 2,000 letters from people wanting to marry the “Afghan girl”, adopt her, or just find out her name. Unfortunately, the photographer Steve McCurry knew nothing about her, other than that she was an Afghan refugee, roughly 12 years old, attending a school in a Pakistani refugee camp. What a bittersweet irony for the Afghan girl. World famous, with eyes that could advertise her way out of war and poverty in one photoshoot, but she knew nothing about it – just that one day a foreign man pointed a foreign object at her and clicked. Thankfully for her, at least, the man was an American with a camera, not a Russian with a gun. Idea #3: Create a model agency to discover and exclusively represent potential models from developing countries. Take the Afghan Girl. The fact that an image of such beauty has emerged out of a humanitarian crisis makes it seem all the more beautiful by contrast. But it’s not just because she’s beautiful, it’s because she’s mysterious, she has a story – the picture engages you and sticks in your head. 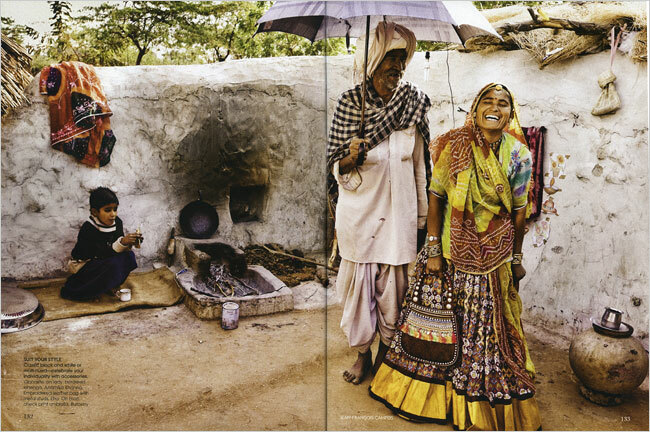 In short, it’s partly because she’s so poor that she makes such a good model. They don’t need special skills and they really need the money! Gisele Bundchen - worth more than Afghan Girl? As long as you have a face, you can model. I’m not interested in hearing anyone that says otherwise. Also, you can make an absolute bomb. Top earning supermodel, Gisele Bundchen is estimated to earn $25m this year. These facts combined a) make me sick, and b) convince me that modelling is probably the perfect occupation for beautiful, unskilled poor people from developing countries. Considering that more than 3 billion people live on less than $2.50 a day, there are plenty to choose from. Let’s imagine the poor models are paid a similar wage to the celebrity supermodels we know and love. I’d say there’s a fair chance they’ll invest a lot of it in their home country. The poor model agency could provide advice on how best the models could use their newfound wealth. Alternatively, the model agency could operate more directly as a social enterprise. Models could be paid a reasonable wage, and the rest of the money fed into development charities or projects of their choice. This would also help avoid the problems that could result from the models receiving too much money. The fact that this is a totally new kind of socially-minded development-oriented model agency will in itself attract a lot of media attention. Some may also see it as controversial, although I’m confident that the consensus will be in favour of such an enterprise if the models are treated fairly (which is, of course, central to this idea). Advertisers who use the poor models will be subject to a lot more media attention than usual, and that is just what they’re after. Associated companies will also benefit from extra corporate social responsibility kudos for choosing poor models over rich models. And all these benefits will come at a cheaper price than using celebrity models. Click the image to read the article "A Life Revealed"
If you want to help young kids like the Afghan Girl right now, you can donate to the National Geographic Afghan Children’s Fund. charming post. simply one decimal where I bicker with it. I am emailing you in detail. Hi there I likee your post — will keep it bookmarked for future posts. Nice post. Enjoyed it very much although i don’t agree much with your point of view. I’ll come back later to develop my own point of view because now I’m in a little bit of a hurry. I TOTALLY agree with you about this. I saw the documentary on the Afghan Girl and this woman is living in abject poverty, not even having the equivalent of a quarter to send her child to school. I personally think National Geographic owes this woman thousands if not millions of dollars for using her image. It is the most famous image associated with National Geographic. But back to the idea, I actually thought of the same idea. There are gorgeous people everywhere and why not use them as models and let them live a wonderful life? It’s ludicrous to me not to do it! You should give it a go Lora! wow i like this very very much ….thanks man.